Ireland has at long last given up the ghost. The Holy Ghost, that is. Some 1,500 years after St.Patrick’s death, this island nation – long a sign of contradiction to suicidal Europe – has finally climbed onto the spiritual funeral pyre. Halappanavar, as readers will remember, was the 31-year-old dentist, originally from India, who died October 28, 2012 at University Hospital Galway due to what was then interpreted as complications of a septic miscarriage at 17 weeks’ gestation, after having been denied an abortion. At 17 weeks into her pregnancy, Halappanavar was told she was suffering a miscarriage. She requested an abortion but, as doctors had already diagnosed, the termination had already begun spontaneously. Under Irish law and the Irish Constitution, which in 2012 prohibited the abortion of unborn babies, the surgical evacuation of the womb was allowed when a miscarriage was underway or when the baby had already died. Such procedures are regularly carried out in Irish hospitals. In Savita’s case, however, it appears that a surgical intervention that should have happened did not. Her back pain continued for another three days and she died of septicaemia, prompting two investigations – one by the hospital itself and another by the Irish health authority. Which it was. But this was also another example of how a hard case can be politicized into making bad law in a shifting cultural climate. By 2012, Ireland’s oncoming rejection of Catholic teaching was already well underway, keeping pace in its own way with the cultural rot and consequent falling away from religious faith that had long been afflicting continental Europe and the rest of the western world. In fact, since the 1960s, some of the activity of the Irish Church has been increasingly focused on social justice issues – read: leftist ideology. Meaning that the same social trends and influences alienating citizens from the Catholic Church throughout the world – including a hostile media and its daily bombardment of immorality and depravity on TV and elsewhere – were having the same destructive impact on daily life in Ireland. Meaning that the pro-life movement would not be able to influence the culture much longer if orthodox Catholicism in Ireland continued to decline. Then came the referendum making the rift official. As did a study undertaken by Georgetown University indicating that Ireland now ranks among the top ten nations with the largest number of atheists, following China, Japan, the Czech Republic, France, South Korea, Germany, the Netherlands, Austria, Iceland and Australia. The study also shows how steep Ireland’s decline has been, noting that in 1980, Ireland had one of the highest rates of weekly Mass attendance in the world (84%). By 2006, however, that rate had dropped to 48 percent. Just five years later, that percentage had dropped to an abysmal 18 percent with the number of young people attending weekly Mass in Dublin at just 2 percent. “A nation that kills its own children has no future,” declared Pope John Paul II. How ironic then that this referendum to change the 8th Amendment to allow abortion should be held May 25th, the 131st birthday of the beloved Pio who professed a deep love for Ireland. Ironic too that the referendum’s so-called ‘victory’ would be heralded by mobs of Irish youth dancing, shouting and weeping with joy over the so-called right to kill their unborn brothers, sisters, sons and daughters. Meaning that if these two saints are right – which they surely are – then the Republic of Ireland has just signed away its once benign future, along with the last vestiges of what had been the most distinctive and morally coherent culture in Europe and consigned it to aimless oblivion while it waits for some imaginary hammer to fall. Even secular experts agree. In his masterwork The Strange Death of Europe, social historian Douglas Murray explains how Europe’s decline into suicide – of which Ireland is now part – has occurred. Having been browbeaten by decades of ‘progressive’ propaganda into accepting the secular and postmodernist view – that Europe’s once life-enhancing Christian culture had been nothing more than a Nazi-driven horror show and that most continental whites are merely horrible people who deserve punishment – most of the continent now appears to have relinquished its past. And, in so doing, can see no cogent or constructive future for itself whatsoever. All confirming that Sweden’s condition is pathological and now terminal. And that having aborted and contracepted its future, as has nearly all the rest of Europe, it’s only logical that Sweden would become the natural target for mass and opportunistic immigration which, in turn, has veered out of its sick government’s control. And Sweden is just one example in the much larger picture that Murray paints. 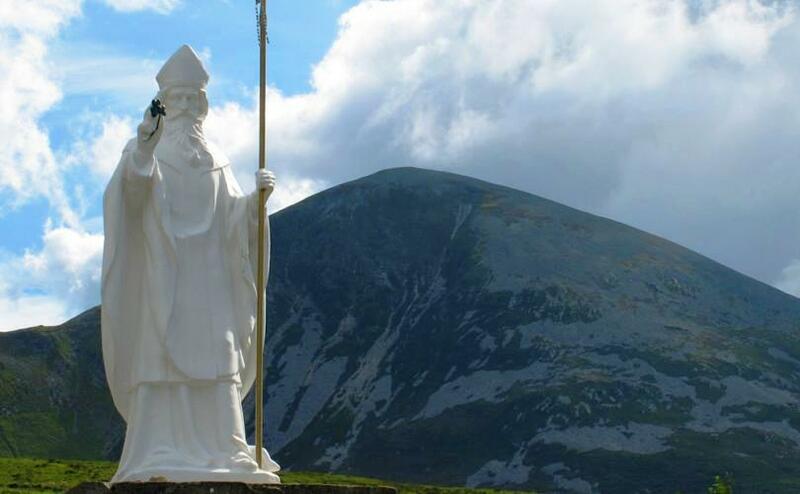 So, in the case of Ireland, what’s really happened is that the Emerald Isle has officially joined the Culture of Death, as St. Pope John Paul II coined it. And the statistics prove it: having embraced the Left and its social justice warriors, the physical and moral results have followed inevitably. Syphilis and chlamydia rates have doubled in the past decade alone; gonorrhea has quadrupled and HIV rates have exploded. No surprise either that between 2008 and 2017, the Irish birthrate declined nearly 20 percent, and foreign nationals have been responsible for nearly a quarter of live births. Like the rest of Europe. Of course, the media was jubilant on May 25, proclaiming it a “great day for women.” And cheering even more loudly a week later when – with abortion no longer forbidden by its constitution, and warnings that the final law will be far more radical in practice – the Irish government also moved to ban pro-lifers from praying, protesting or counseling outside abortion facilities. Prompting this question: How far behind, then, is the push for euthanasia – already a major movement across Europe? Meanwhile, across Ireland and around the world, many pro-lifers have responded to the defeat with resolve rather than despair, vowing to continue fighting to restore legal protection for the preborn and rallying 30,000 people to pray the Rosary on the coasts of Ireland in the autumn and organizing a public Forty Days of penance in the wake of the abortion referendum. All positive moves. Still, one can’t shake the feeling that there will be no going back in Ireland. And that, instead, this signals the next stage in the unfolding suicide of Europe already well underway as the natural consequence of the collapse of Christianity, the related collapse of the traditional family and the consequent demographic winter that has prompted the importing of massive numbers of immigrants to augment labour forces and to prop up sclerotic, top-heavy social welfare systems. But as what’s left of Christendom continues to implode on itself, how could it otherwise? As traditional marriage and disciplined sexual behaviour are packed into museum boxes and the grand art, architecture, sculpture, music and literature of western culture are thrown into vans bound for places unknown, what’s left for post-Christendom? And, excuse me, but isn’t it all so ugly? Disordered, disorderly, disheveled. Devoid of beauty. Aimless. Pointless. Directionless. Having taken down the entire house, where do we go now? Back to pre-Christianity, reminiscent of the days when St. Patrick and the great missionaries where beginning their salvific work in Ireland? Nor can I shake the feeling that, despite all the prayers and rosaries that so far haven’t reconverted the souls who voted for death in May, there will be no reversal in Ireland. Too pessimistic? It gets worse. I can’t shake the feeling either that this green, once graced and graceful isle of romantic imagination may return to its pagan roots. Nor will I be the least surprised to hear one day soon a report that some mystified child has found a snake in the long grass of that physically breathtaking island. And won’t the environmentalists be pinching themselves with joy? That’s not the end of the story, of course. Far from it. With every apparent death, the seeds of new life are sown, all advancing the Lord God’s arc of history and all working towards the good of all those who love Him. Look too for the unexpected uprising of the young in Ireland who, created by God and hungering for God, wake up one day en masse and rebel against the lying culture that’s been robbing them of brothers, sisters, relatives and friends, all in the unspeakable name of abortion rights. Will this be the ultimate result of today’s grief-stricken prayers which always and everywhere have the Lord’s ear and may become another essential part of the Lord’s grand working out of all things?